How do I arrange a care package with The Private Care Company? What is included in a package of care? Is there anything which my care assistant is not able to carry out for me? Will I have consistency of care assistants? How can I be sure that I am getting value for money? How can I be sure that I am safe? What will my care cost and how will I pay for my care? How can I be sure that The Private Care Company will support me to stay living in my own home? How do I know if The Private Care Company is the best care agency for me? In the first instance you will contact The Private Care Company by telephone or email and make an appointment for us to visit you to discuss how The Private Care Company can work for you. This is a free assessment with a care manager who will discuss all options and services with you. You will be left with full information and time to think over your options. Once you have decided you can leave the rest to us. We offer a variety of services which are all detailed in our Client’s Guide, this will be given to you at the initial assessment. Our services include personal care, practical care, general care and companionship services. Click here for more information on services that we provide. Is there anything that my care assistant is not able to carry out for me? Care assistants at The Private Care Company are not able to carry out any tasks that require specialist qualifications and/or knowledge such as: toenail cutting, ear syringing, removing or replacing urinary catheters, injections or wound management. The Private Care Company’s Client Guide – given to you at the initial assessment – contains a comprehensive list of these tasks. 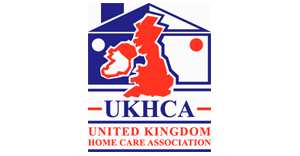 We aim to provide high consistency of care assistants, meaning that clients get regular care assistants visiting them. We also pride ourselves on being able to offer excellent consistency in regard to care times, giving you a designated call time that remains stable. You will also receive a weekly care schedule, telling you what time your call will be who the care assistant is. All of our care assistants are required to log in and out at every care call. The call logging system is closely monitored by managers, ensuring that care assistants are attending calls on time and for the full time. You will be advised by telephone if your care assistant is running late for any reason. There is also a full care plan in place, which is left at your property. The care plan is a detailed list of tasks we have agreed to provide. Care assistants are contractually obliged to complete all tasks on the care plan to a high standard. The Private Care Company carries out full DBS checks on all employees prior to them starting work. In addition, all care assistants will be dressed in company uniform – a blue tunic with company logo – and will be carrying their company ID which is worn on a lanyard. At the initial assessment, you will be provided with full costs for your care. The Private Care Company operates a transparent charging system, with one hourly charge seven days a week. You will be invoiced monthly in arrears for all of the care you have received the previous month. All invoices are fully itemised. The Private Care Company is an approved provider with Adult Social Services and charges the approved rate for all of our care services. The approved rate is the hourly rate that Adult Social Services decides providers should charge. We do not charge self-funders more for our services. Everyone, whether self funded, part, or fully-funded will be charged the same rate. How can I be sure The Private Care Company will support me to stay living in my own home? The Private Care Company employs experienced and committed care managers, providing flexible and forward thinking packages of care. We support clients to stay at home by working alongside other professionals, such as GPs, district nurses, adult social care services and occupational therapists. We write flexible support plans that ensure safe care standards to allow all clients to remain at home for as long as they wish. The Private Care Company offers small care packages, from one call a day right through to comprehensive double-up care packages (for clients with mobility issues and/or equipment, meaning they need two care assistants), in addition to live in care services (for 24/7 around the clock care packages). How do I KNOW The Private Care Company is the best care agency for me? The Private Care Company has an excellent reputation in the city. 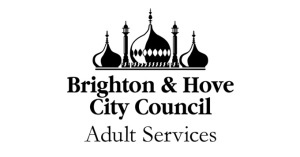 Our care services are regulated and monitored by the Care Quality Commission and Brighton and Hove Adult Care Services. The Private Care Company received a ‘Good’ rating in the last inspection (see link). We also carry Public Liability Insurance (£10million). If your question isn’t covered above, please don’t hesitate to call.